I was hoping to work on the truck yesterday, but I went to an award ceremony for my sister that ended up lasting 3 hours... so didn't do anything on the truck at all. Today was another story, I still got off work late so didn't get as much done as I wanted, but I felt like a huge victory was accomplished. 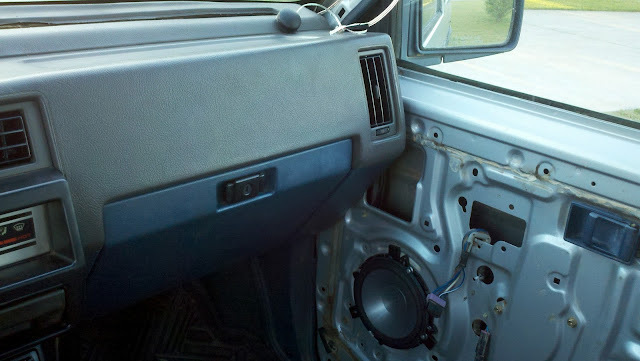 I was afraid, after finding the head unit going to Protect mode, that I would end up having to re-run the speaker wires to the doors because of a short. It turns out the fix was much easier. The truck's stereo wiring harness uses the same wire colors over and over (green, brown, black, pink) with a few random ones mixed in. Apparently, after some time of trial and error, the original owner got frustrated and decided to go a different route. Rather than actually find which brown/black wires went to the speakers.... he just spliced them all together. 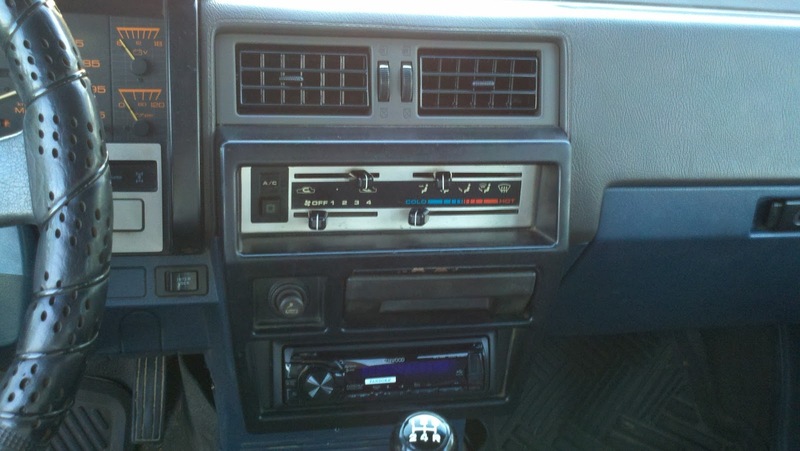 So yeah, the Kenwood isn't very 80s, but I like it. Also, today the speakers I'm going to drop in the rear came in :) I got some Infinity Reference 6032si (they match the component kit) to go in the rear. I test fit these and they just baaaaaaaaarely fit in there. 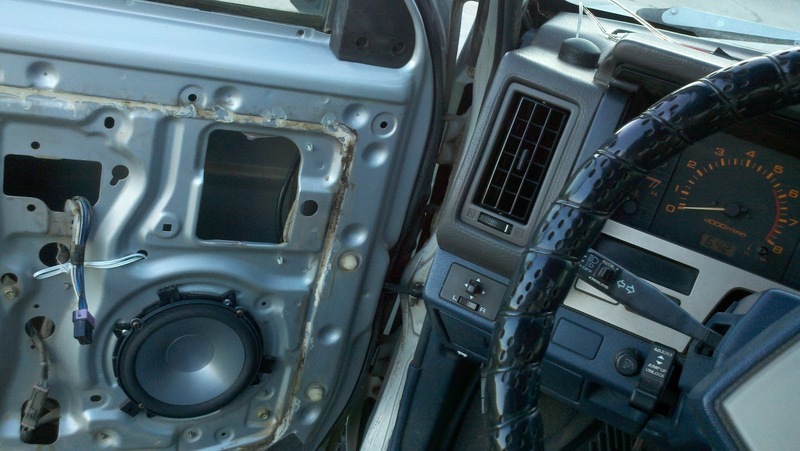 The magnet of the speaker is actually touching the back of the cab, lol. I haven't decided yet how I'm going to mount them, but it looks like they should fit. Hopefully Thursday I'll be able to get those installed.